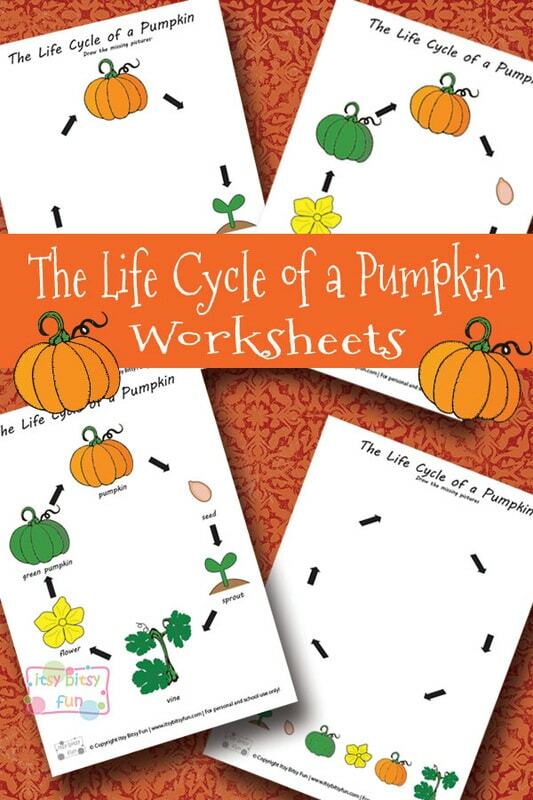 Print these life cycle of a pumpkin worksheets and let’s do some learning! This is just one of the fun learning activities you can do in the fall, another great thing to do is without a doubt learning about leaves and these leaf identification coloring pages / worksheets are just right for this job! But let’s get to our pumpkin shall we? As Halloween approaches the interest in these soon to be Jack-o’-lanterns is huge – perfect for sneaking in some education! I have made a few variations of these so you can grab whichever ones suit your teaching style. So we’ve got one with complete cycle with all the names and images. We’ve got one with all the images and without names so kids have to write down the parts of the cycle. We’ve got one with parts of the cycle missing and kids have to draw them. We’ve got one with parts of the cycle missing and names of the cycle missing so kids have to name them and draw the missing ones. There’s also one where kids have to draw the whole cycle by themselves or cut and glue the images (images to help them draw are on the bottom but are not in the correct order). 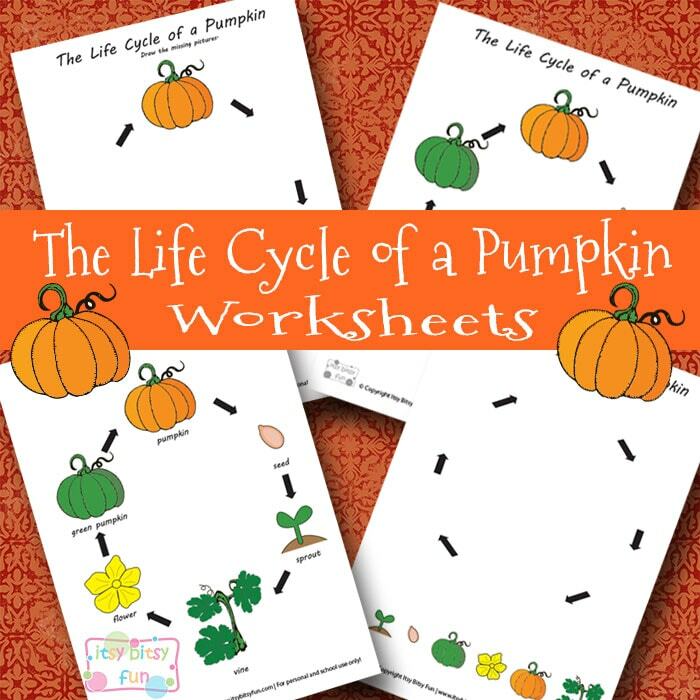 Get your free pritnable life cycle of a pumpkin worksheet free printable here. Ready to learn some geography? Grab these continents and oceans worksheets and have your kids start learning about the world! If you have some math on your mind do check these color by numbers addition worksheets as they always make math more fun!